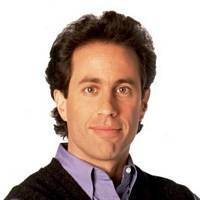 His dad’s death at age 66, when Jerry Seinfeld was 30, was the first great loss of Seinfeld’s life. Did it crush him? Surprisingly, after a brief pause, he says no. “I tend to accept life as it is,” he says. “I’m not one of these ‘Life isn’t fair’ people. I tend to accept whatever the limits are, whatever the rules are.” He sits back. His love for his father is evident, but no more evident than his acceptance of the basic facts that the man is no longer around … “It’s okay,” Seinfeld says. And you get the feeling that it is. Nothing in the world is fixed and permanent. Everything is subject to change and alteration. Life offers no control or consistency but rather impermanence and successive changes—youth changes into old age; the past changes to the present and then into the future. 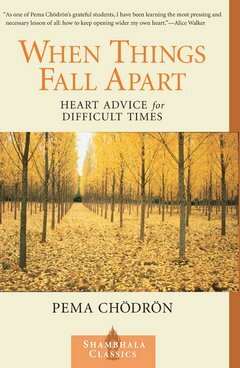 Suffering, Buddhism teaches, is caused by unrealistic expectations of permanence—especially in relationships. 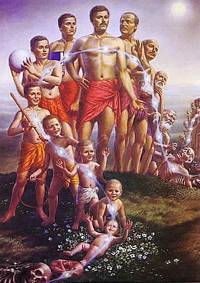 Accepting impermanence can therefore lead to an existence with less suffering. Appreciating that everything in life is fragile and impermanent can foster an appreciation of the present. When faced with adversities you must feel and experience—not deny—your emotions, and then embark on a healing process by looking at the situation in a more realistic light. Kisagotami is the name of a young girl, whose marriage with the only son of a wealthy man was brought about in true fairy-tale fashion. She had one child, but when the beautiful boy could run alone, it died. The young girl in her love for it carried the dead child clasped to her bosom, and went from house to house of her pitying friends asking them to give her medicine for it. But a Buddhist mendicant, thinking “She does not understand,” said to her, “My good girl, I myself have no such medicine as you ask for, but I think I know of one who has.” “O tell me who that is,” said Kisagotami. “The Buddha can give you medicine; go to him,” was the answer. She went to Gautama, and doing homage to him, said, “Lord and master, do you know any medicine that will be good for my child?” “Yes, I know of some,” said the Teacher. Now it was the custom for patients or their friends to provide the herbs which the doctors required, so she asked what herbs he would want. “I want some mustard-seed,” he said; and when the poor girl eagerly promised to bring some of so common a drug, he added, “You must get it from some house where no son, or husband, or parent, or slave has died.” “Very good,” she said, and went to ask for it, still carrying her dead child with her. At last, not being able to find a single house where no one had died, her mind began to clear, and summoning up resolution, she left the dead body of her child in a forest, and returning to the Buddha paid him homage. He said to her, “Have you the mustard seed?” “My Lord,” she replied, “I have not; the people tell me that the living are few, but the dead are many.” Then he talked to her on that essential part of his system the impermanency of all things, till her doubts were cleared away, and, accepting her lot, she became a disciple and entered the first Path. Idea for Impact: The key to finding equanimity and contentment in life is to develop a heightened acceptance of reality. Postscript: The Buddhist parable of the mustard seed is not to be confused with the identically-titled Christian parables in Matthew 13:31–32 of the New Testament: “The kingdom of heaven is like a mustard seed, which a man took and planted in his field. Though it is the smallest of all seeds, yet when it grows, it is the largest of garden plants and becomes a tree, so that the birds come and perch in its branches.” This parable also appears in Mark 4:30–32 and Luke 13:18–19.